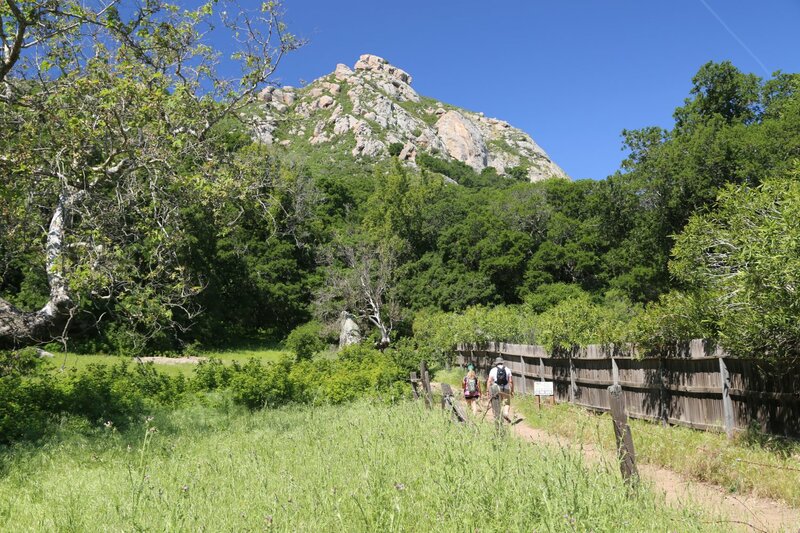 Bishop Peak is a very popular hike with Cal Poly and Cuesta students. This is one of a series of nine volcanic mountains and hills that run from San Luis Obispo to Morro Bay (referred to as the Nine Sisters). From the top of Bishop Peak there are excellent views overlooking the ocean and all of San Luis Obispo and the surrounding hills. The primary trail leads off from a dirt parking lot on the north side of Foothill Blvd heading west towards Los Osos Valley Road. There are several other trails that lead to the main Bishop Peak trail – from the Ferrini Ranch Open Space (ie from Patricia Drive and from the top of Highland Drive). 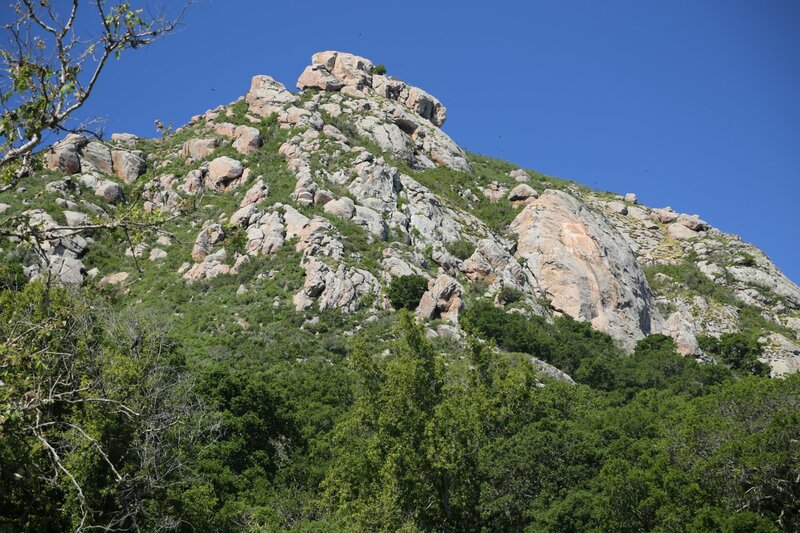 Bishop Peak and Cerro San Luis are the two most prominent mountains overlooking the city. Facing west from the city of San Luis, Bishop is the pointed rock like peak on the right side. Cerro San Luis is more massive and almost completely covered in vegetation. 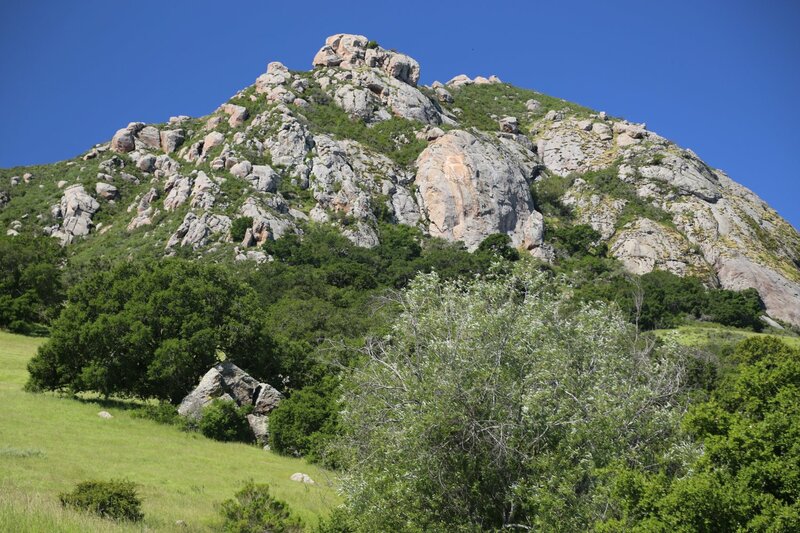 Cerro San Luis is often simply referred to as Madonna Mountain named for Alex Madonna who purchased land on it’s slopes in the 1950’s. 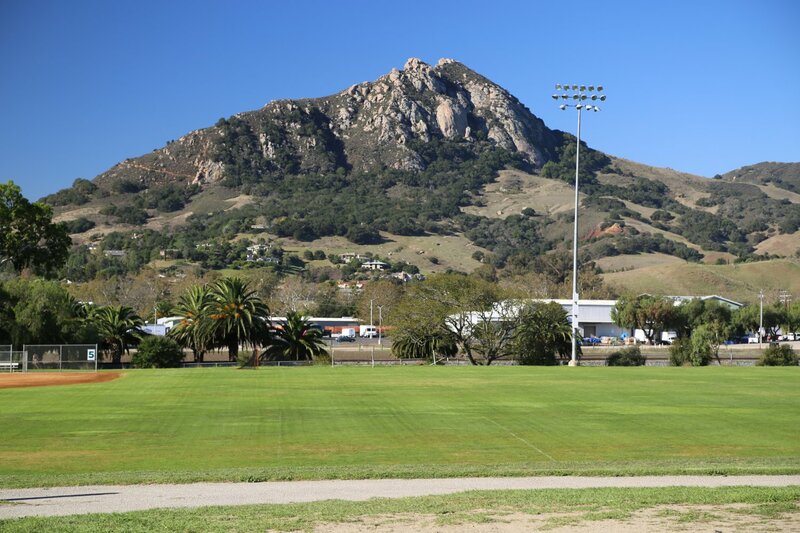 An “M” is built into the eastern side of this mountain – this doesn’t stand for Madonna as one might think but rather for Mission Prep, a private high school in downtown San Luis Obispo. These mountains were formed about 22 million years ago by molten magma that extruded from deep within the earth. 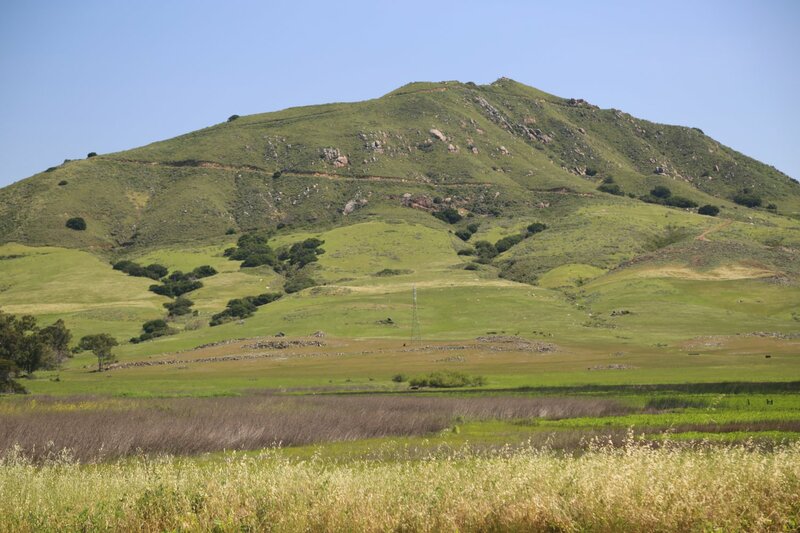 They were formed near present day Ventura and have been sliding northward along the San Andreas fault ever since. The trail to the top of Bishop from the Foothill Blvd side takes about 1 hour. 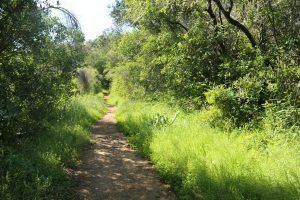 The trail winds across the grassy lower slopes of Bishop. It then enters a grove of oak trees and from there on becomes quite steep and involves some bouldering. Wear sturdy shoes. 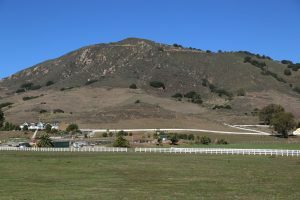 Cerro San Luis is mostly surrounded by private property however the city of San Luis Obispo has purchased access to the top. Getting to the top used to require jumping a few fences and facing the possibility of getting caught. This is was not a recommended hike at the time. 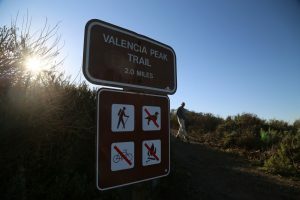 However there is a trail that leads to the top from the Lemon Grove Loop – the trailhead is from Marsh St. – head west on Marsh towards the 101. 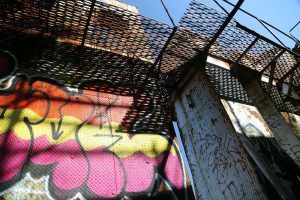 Go under the freeway and make a right hand turn on Fernandez Road – there is a parking lot here just before the southbound 101 entrance. During Easter week, service is held at the top and during Christmas season a lighted tree is seen from San Luis Obispo. 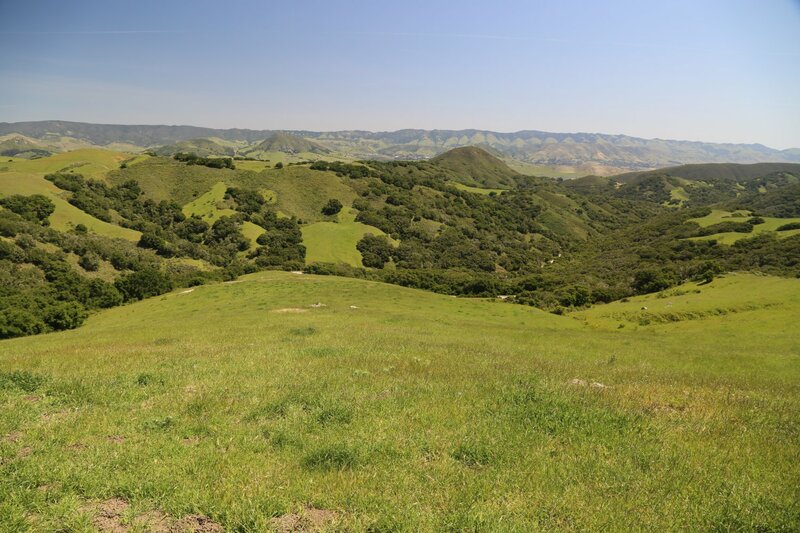 Ferrini Ranch Open Space is accessible from San Luis Obispo via several locations. 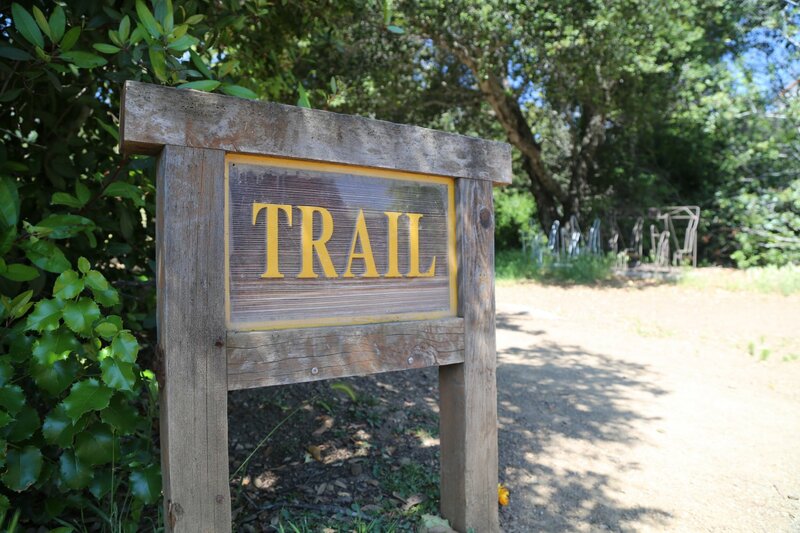 The closest trail head to the open space with the most parking on residential streets is off of Patricia Drive. One can also park at the top of the steep Highland Drive using a very limited number of curbside parking in this residential area. If the curbside parking is filled next to the trailhead, you might have to park much lower on the hill and then walk up to the trailhead. One can also connect to the trail to the top of Bishop Peak from either the Patricia Drive trailhead or the Highland Drive trailhead. 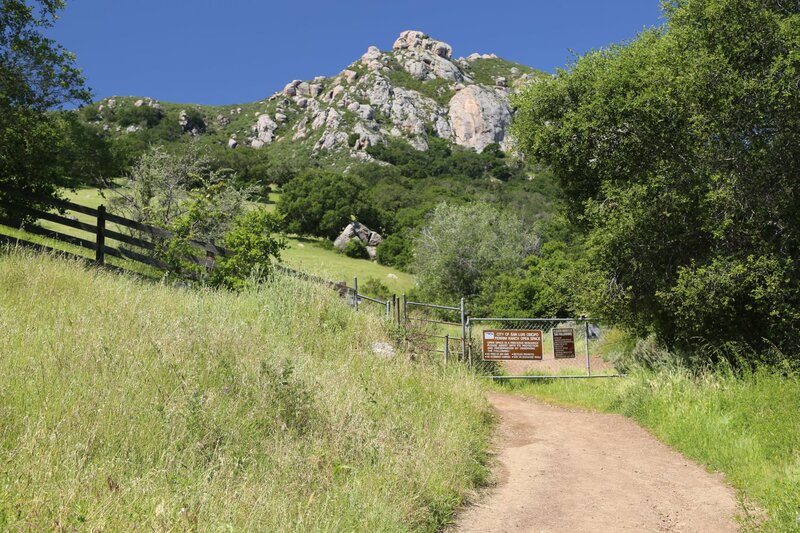 This preserve is not well known except by the locals, but is a great place to bring a picnic and to enjoy the hillside natural beauty (especially in Spring). 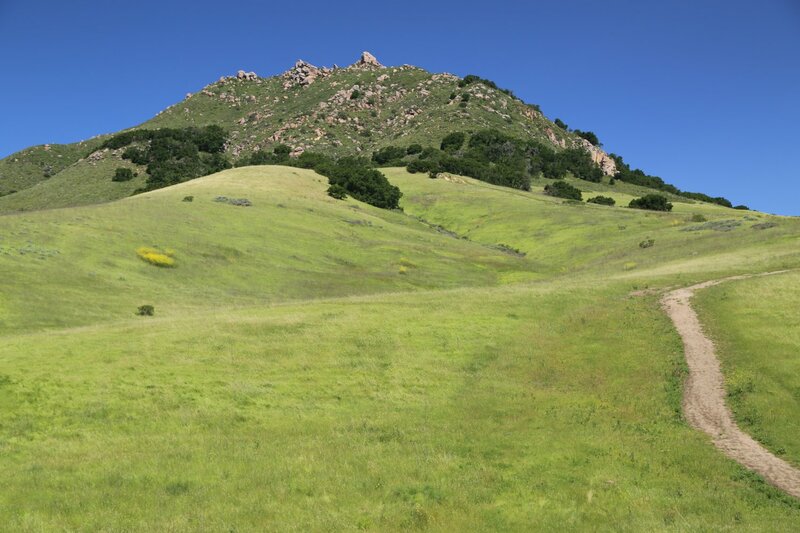 As its name implies, it really is an “open space” – a type of natural preserve. 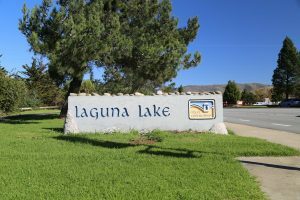 See if you can spot the nesting owls in the tall Eucalyptus trees on the north side of Laguna Lake. This is a migratory stop for various birds. 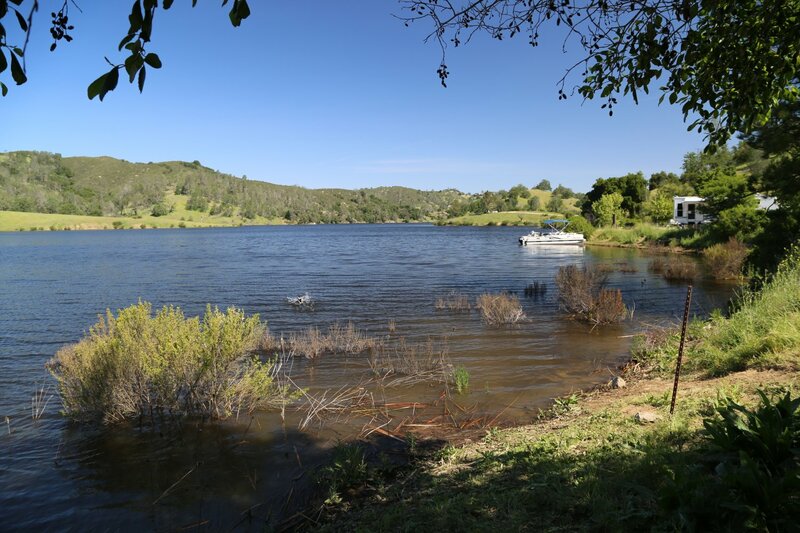 Lopez Lake is about a 25 minute drive from downtown San Luis Obispo. 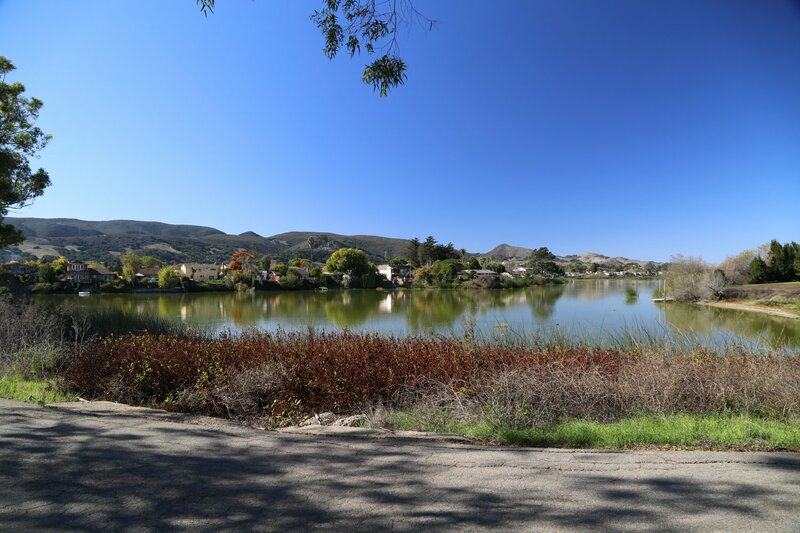 This lake was created in 1969 and today provides drinking water to several communities including Arroyo Grande, Grover Beach, Pismo Beach, Oceano and Avila Beach. 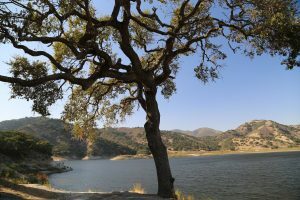 Unlike most ‘drinking water’ lakes, Lopez Lake is open for boating, fishing and swimming. 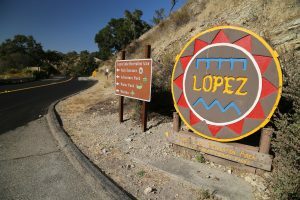 Visitors enter via Orcutt Road through to Lopez Drive (passing at times groves of citrus trees). 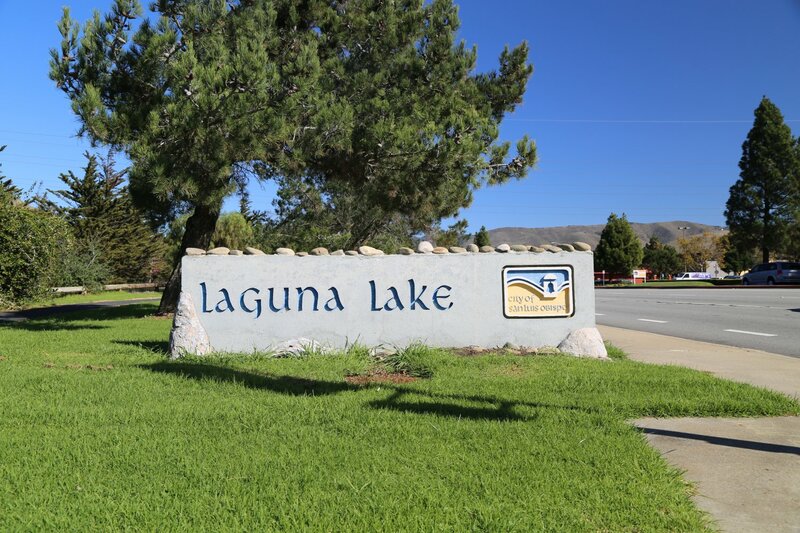 Upon arriving at the lake visitors check in at the park entrance station and pay the admission. 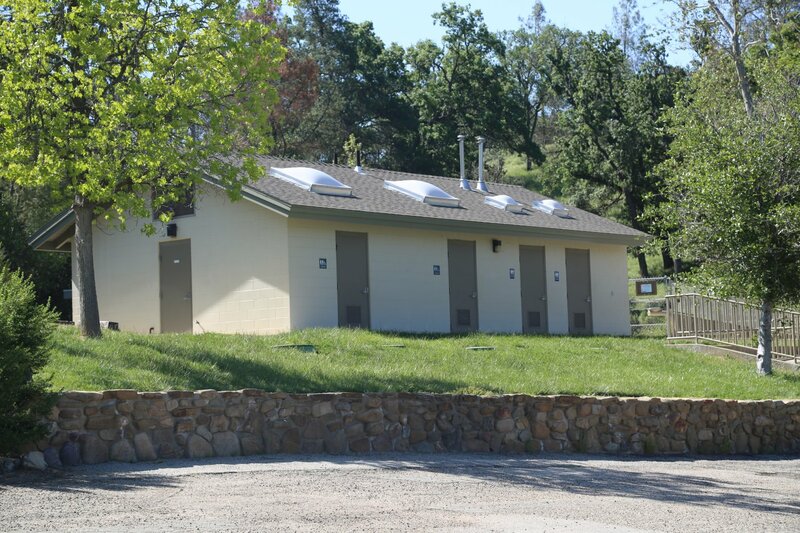 Plenty of camping spots (over 350 in the park) as well as small wooden cabins in the Hawk camping area. 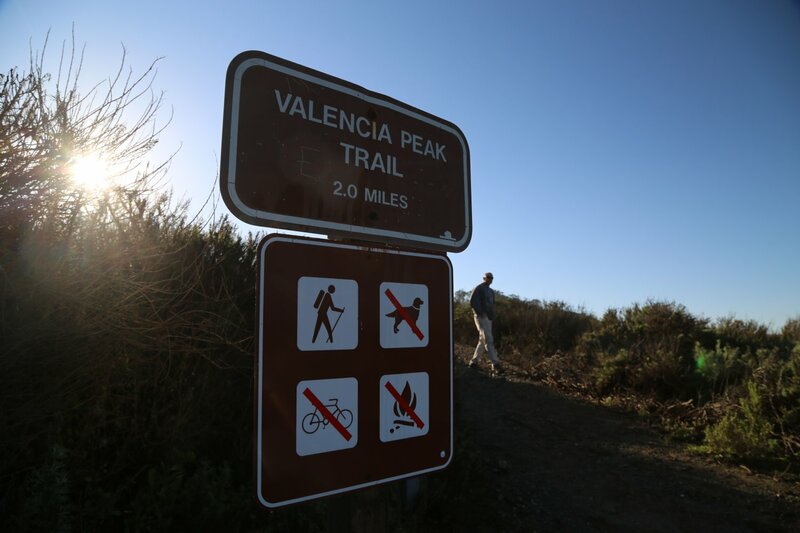 Plenty of hiking trails as well, some with scenic vistas of the lake. 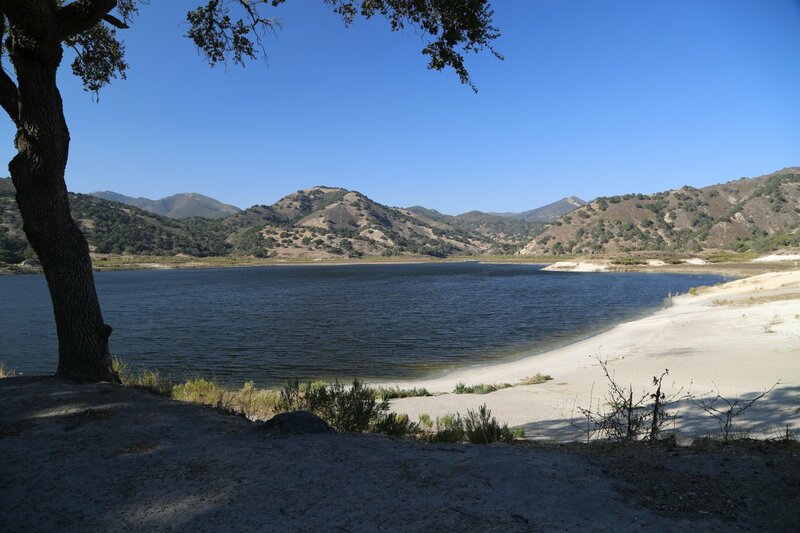 We have always enjoyed a number of bike rides in the park including the approximately 8 mile Dune Vista Loop (with great views looking down on Lopez Lake). Also be sure to stop by the Lopez Lake Marina for supplies at their General Store or breakfast or lunch at FishTales Bar & Grill. The parking lot far outpaces the normal flow of visitor’s here. 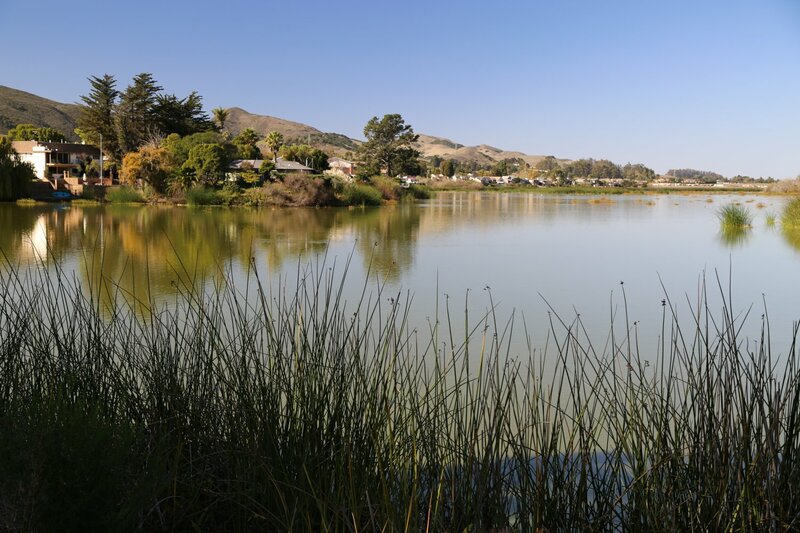 The Marina also rents various water craft – the boat launch is conveniently located nearby. For those looking for a little adventure, check out Vista Lago Adventure Park. The park features a ropes course including 4 high-speed zip lines. Also on site is the Mustang Waterpark featuring a 600-foot waterslide and a the Stampede inner tub ride with a 38 foot drop. 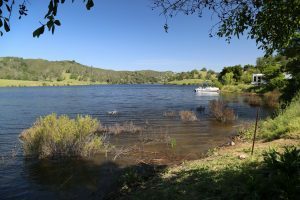 Lopez Lake has plenty of picnic tables here are also some picnic areas here. Los Osos State Preserve is a collection of dwarf Oak trees growing next to Los Osos Valley Road just south of Los Osos. 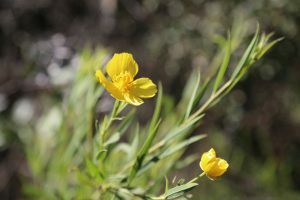 A small parking lot is available with a map and a box that contains brochures with additional information about this reserve. 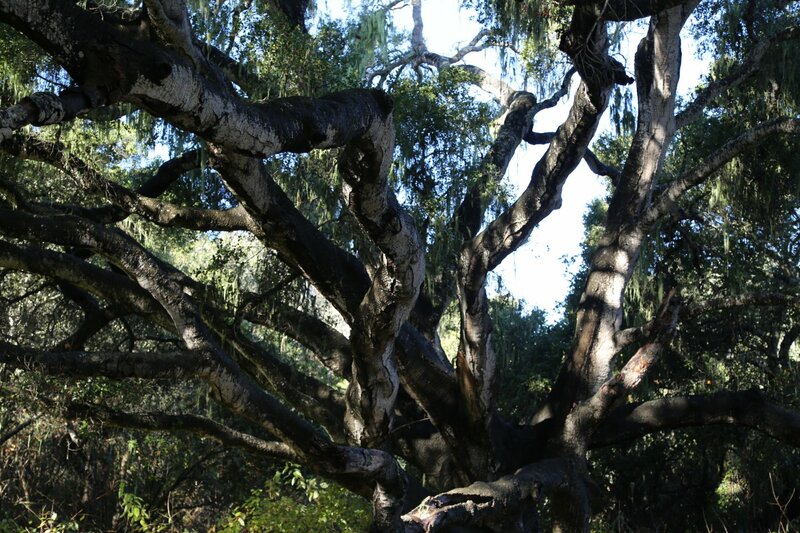 This 90 acre reserve contains 800 year old coast live oaks living on ancient sand dunes. A flat 1.5 mile unpaved trail winds through the various eco systems (split between three short loop trails). The park is only open during the day. 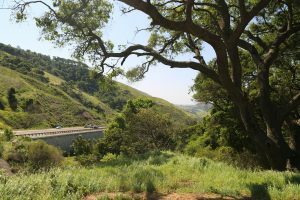 Take the 101 over Cuesta Grade until you drop down the back side of the grade. 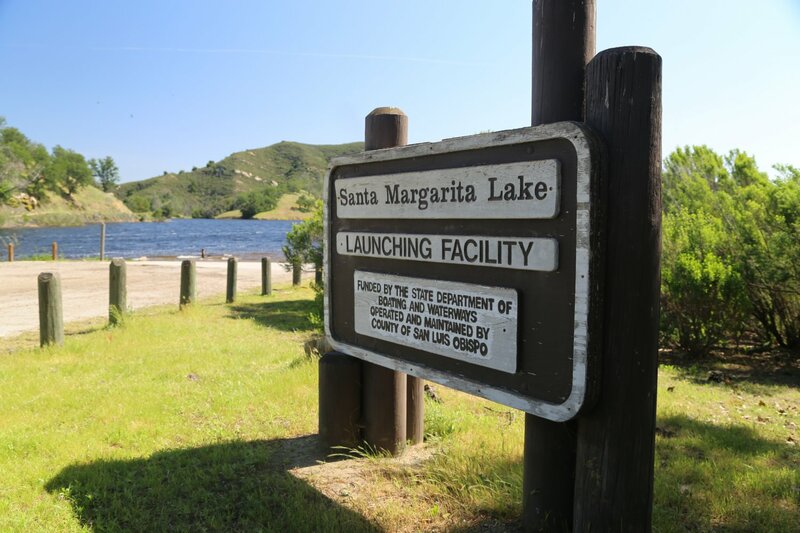 Your first exit will be to the town of Santa Margarita. There is an grocery store here on your way out of town that makes excellent sandwiches. 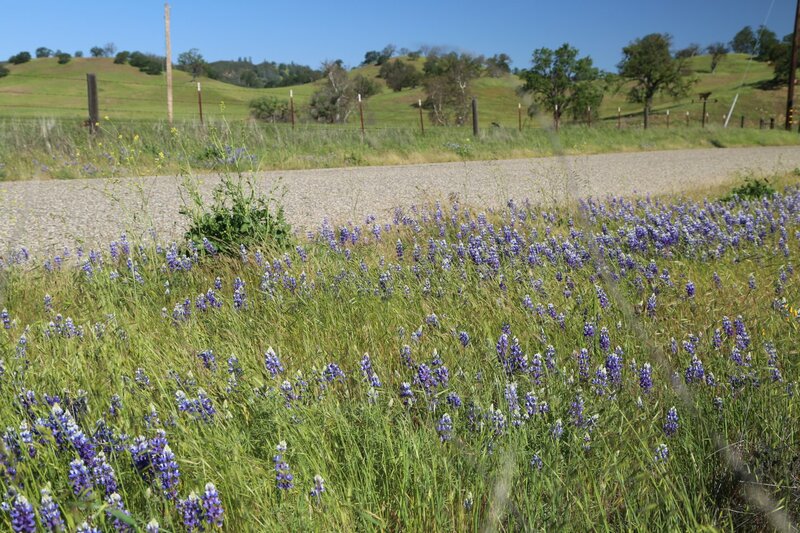 Take Highway 58 out of Santa Margarita and follow this until you reach the very small town of Pozo. 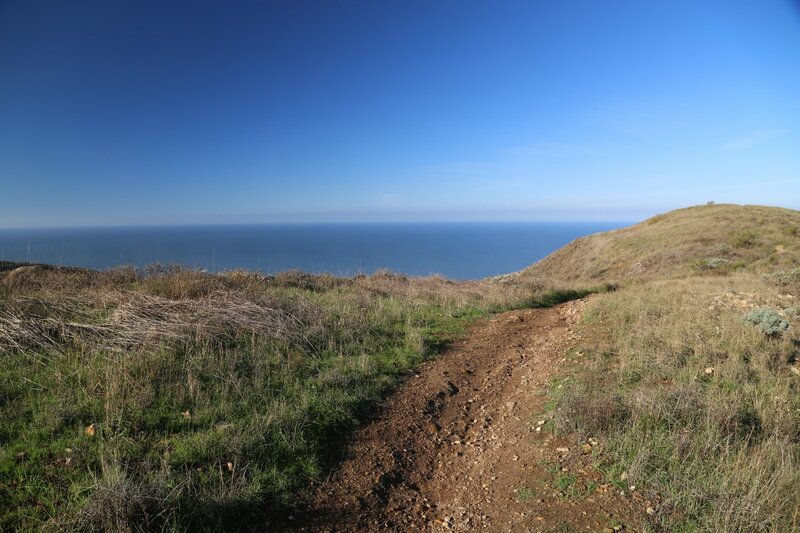 From here, the La Panza summit is about a 20-25 min drive on mostly hard packed dirt. 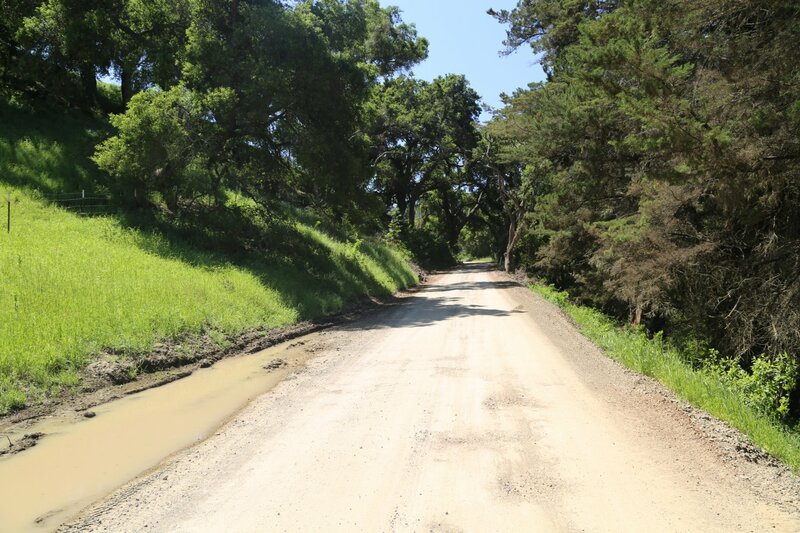 This road is usually closed in the winter time as it becomes muddy and often impassable. 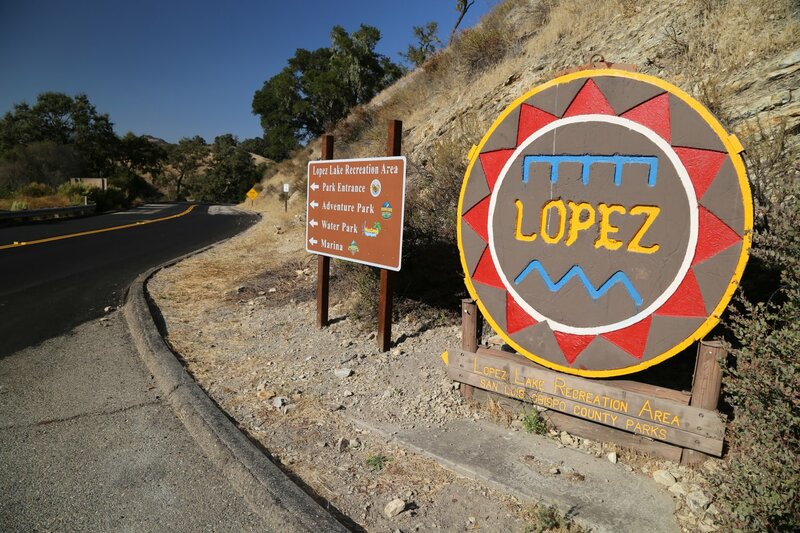 Campgrounds available in the area are the Queen Bee campground and the La Panza Campground. Montaña de Oro State Park is located about 10 miles from SLO towards Los Osos; this is another good area for hiking or biking. 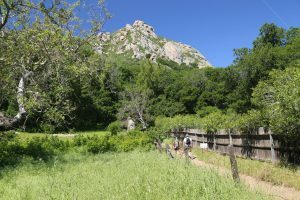 This park overlooks the ocean and there are tremendous views of not only the ocean but also of Morro Bay and the Morro rock. Beach access is available here. Recommended. Take Foothill Blvd. 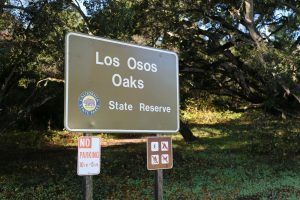 to Los Osos Valley Road and follow Los Osos all the way to the signs for Montaña de Oro. 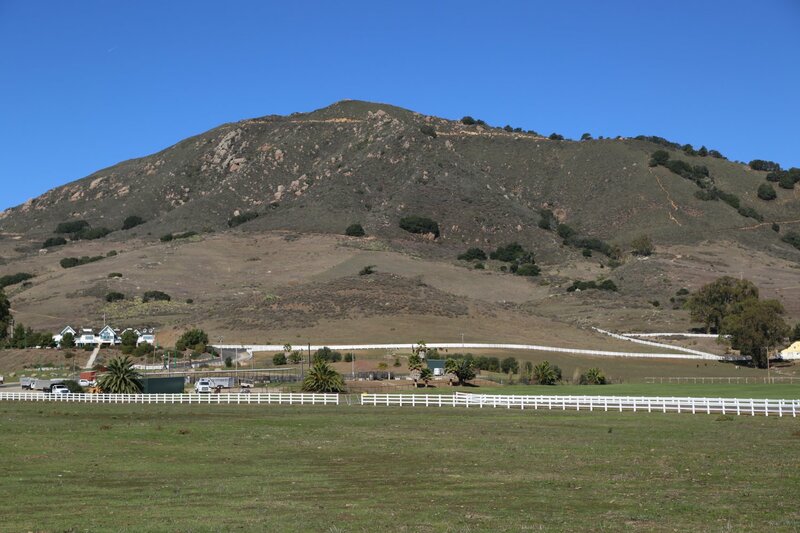 This is about a 10 mile drive from San Luis. 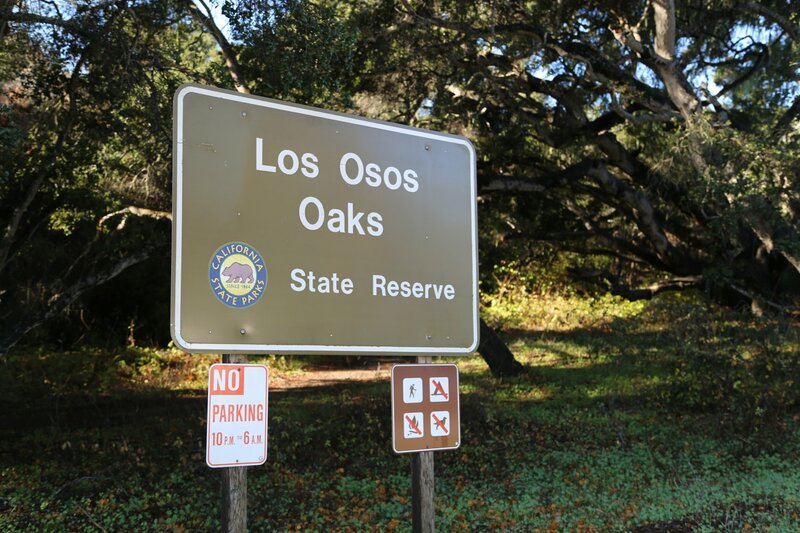 About 2 or 3 miles from the park you will pass through the small town of Los Osos. 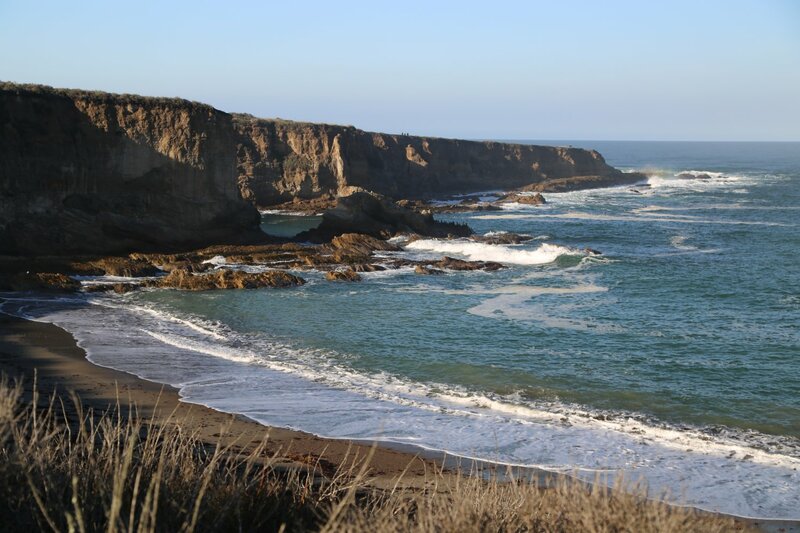 Los Osos is a remnant name from a time when grizzly bears inhabited the area… Los Osos means “the bears” in Spanish and was the name given to the area when an expedition passed through here in 1769. Most of these bears were killed in 1772 to support those living at the Carmel Mission to the north. Hazards is a very popular surf spot and as you pass the access for this area you will probably see cars lined up along the side of the road. Mountain Biking. 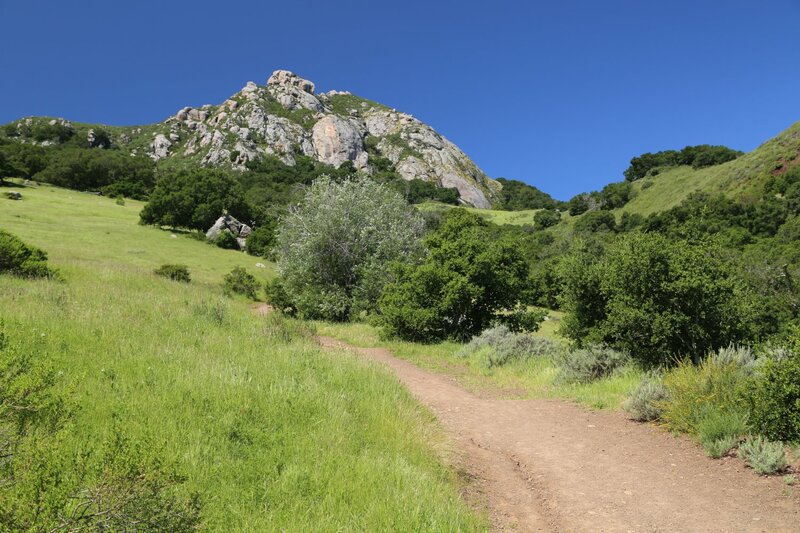 There are numerous trails in the San Luis Obispo area. An excellent book detailing the trails and mileage ect. is called Fat Tire Fun, a green book that can be found in local bookstores. 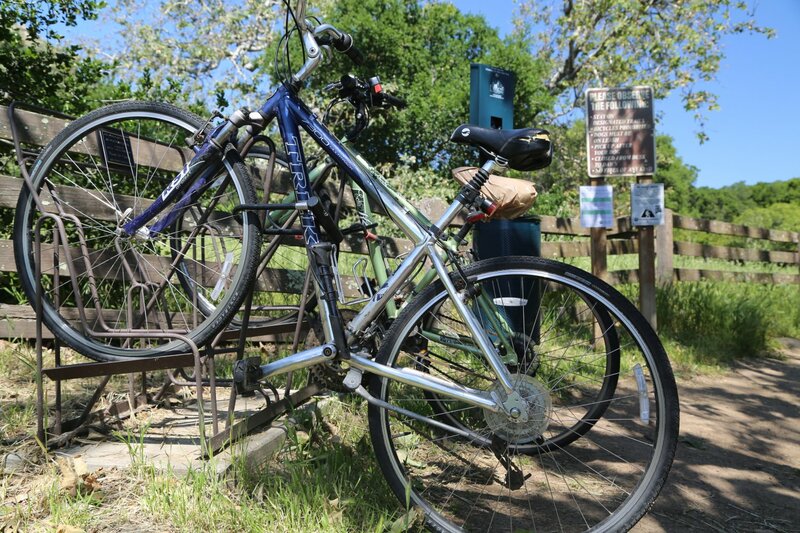 Poly Canyon Loop is one of our favorite rides; it is located directly behind campus in Poly Canyon. 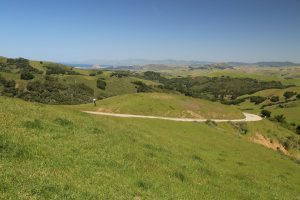 This ride takes about 1 hour, is on an old fire road which winds its way through the hills, and at times come close to the railroad, all the while giving the cyclist excellent views of the picturesque SLO hills. 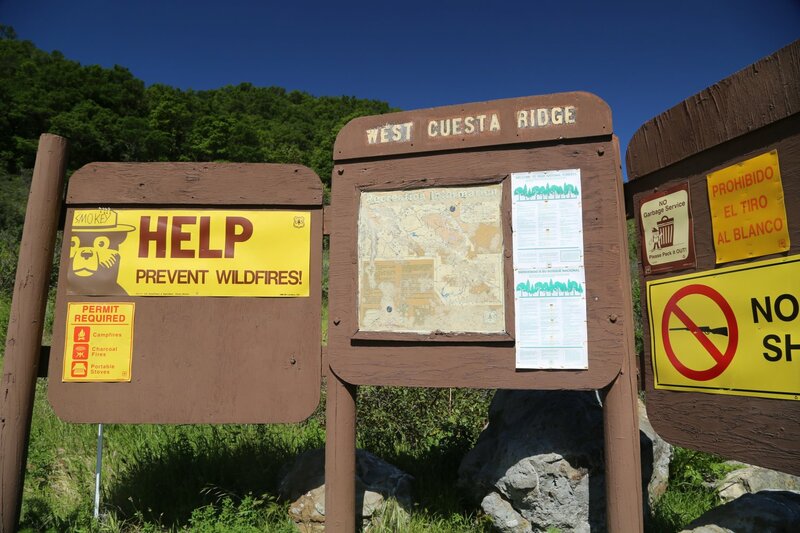 West Cuesta Grade. An old fire road parallels the 101 freeway on the west side. (North of SLO) This dirt road is very steep and brings one out on top of Cuesta Grade next to the 101 on the west side. Once you reach the top of the Cuesta Grade you can bike the narrow paved road climbing up into the hills on the west side of the freeway. 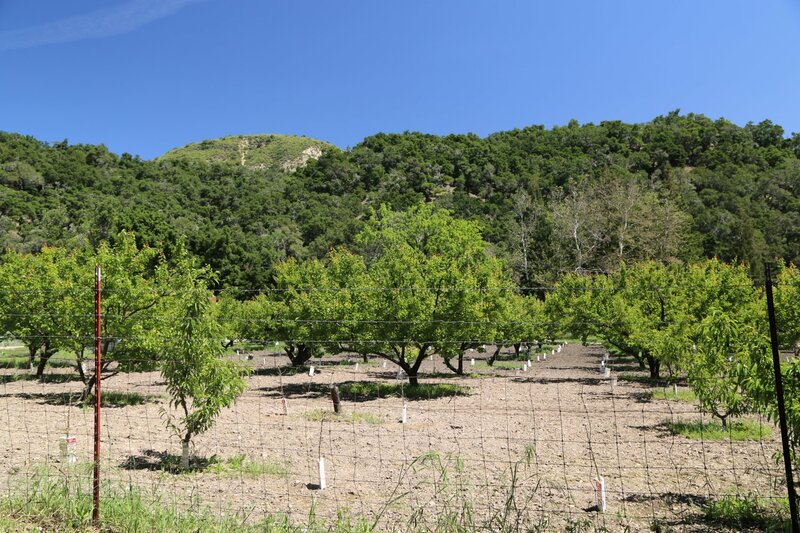 This will eventually lead to botanical gardens (Seargant Cyprus trees) high on the ridge with a great view of the San Luis Obispo area. East Cuesta Grade. As you drive the 101 north bound there is a dirt pull out off of the shoulder of the freeway. You can park here. The dirt road on the east side will lead to some radio towers as well as a hiker-only trail (no bikes) from this fire road all the way to Lopez Lake should you have the stamina for this long hike! 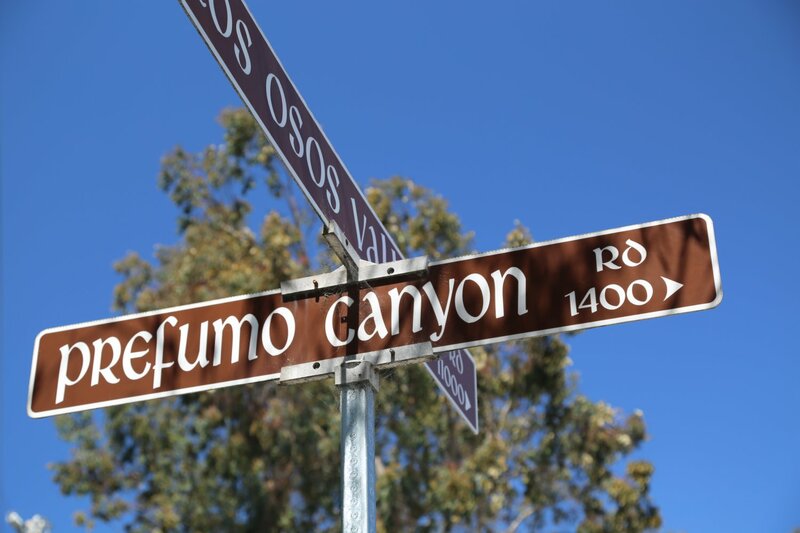 Prefumo Canyon Road can be enjoyed on a bike or by car. A bit off the beaten path for most visitors but easily accessible from San Luis Opispo off of Los Osos Valley Road. 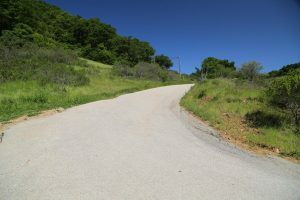 Follow the road as it gradually ascends out of San Luis Obispo, quickly leaving the residential neighborhoods of town. Eventually road will climb higher until you reach a ridge line with several pull out spots next to the side of the road. 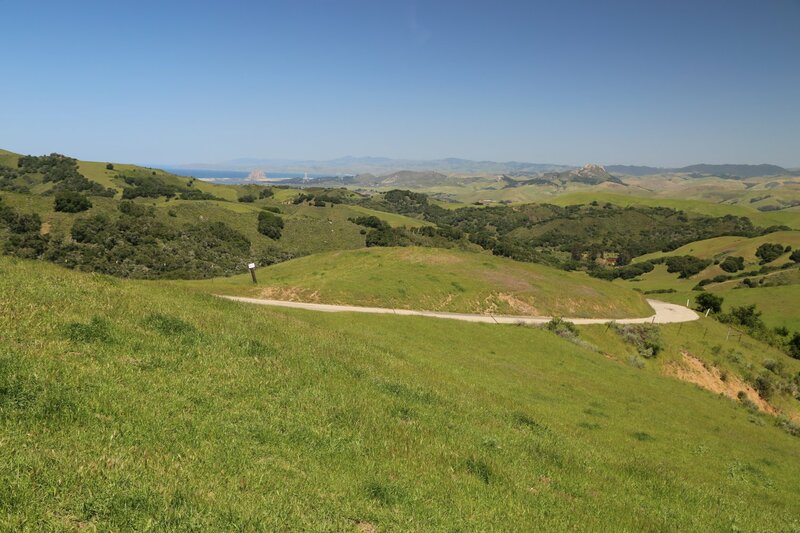 On a clear day from it’s uppermost reaches, this drive offers exceptional views overlooking the coastal mountain ranges and north looking into Morro Bay. 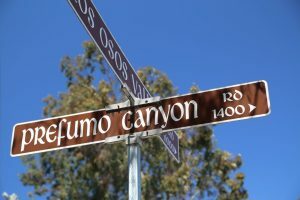 Prefumo Canyon is paved for several miles but after you crest the ridge line and drop down the back side, it becomes hard pack dirt (can almost seem like pavement at times because it has a fairly smooth surface). 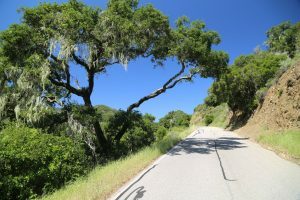 Continuing on it eventually becomes pavement again – reaching See Canyon (known for its apple farms) and ultimately drops you out on San Luis Bay Drive – only a short distance from Avila Beach. 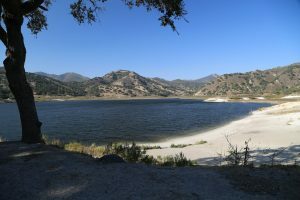 Rinconada Mine is an old Cinnabar mine (Cinnabar is the hard-rock ore for producing Mercury) located just off of Highway 58 a few miles past the Santa Margarita Lake exit. 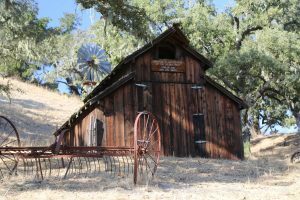 This mine is accessible via a very short dirt road that leads to the trail head. 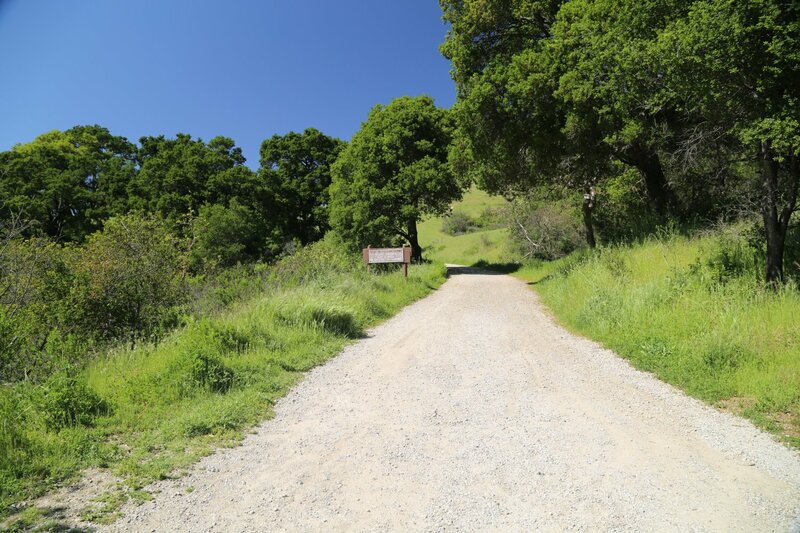 If the gate is closed, park up the hill on the main road and then walk or ride up the dirt road to the trailhead. The trail to the actual mine is only about 1/8 to 1/4 of a mile and starts beyond the metal railing in the back of the dirt parking lot (not to be confused with the Rinconada Trail which also starts at this parking lot and after a gut wrenching climb – leads to Little Falls and Big Falls trails). 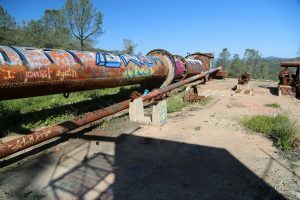 Much of the old mining equipment remains on the outside – the old gears and mining setup is quite impressive. 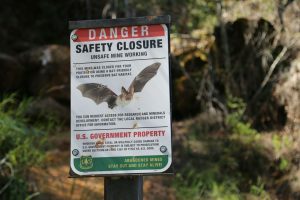 The main caverns that remain from the mining activity are huge – many tunnels & mining shafts also wind their way their way deep underground. 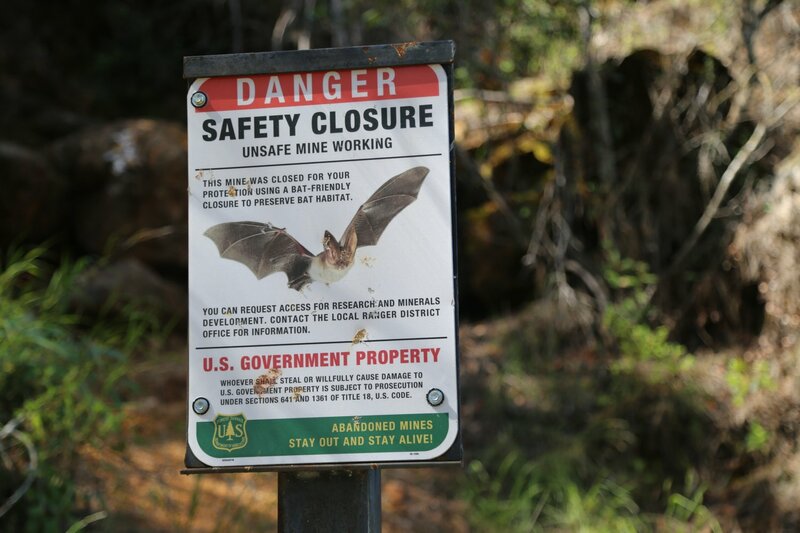 We do not recommend entering these unless you are experienced in roped up caving of mining shafts and you are acutely aware of the pitfalls and dangers of exploring old mines. We have explored many of the tunnels in this mine and accessed the bottom of the main cavern via a roped descent from the top of the mine. Rinconada Trail . 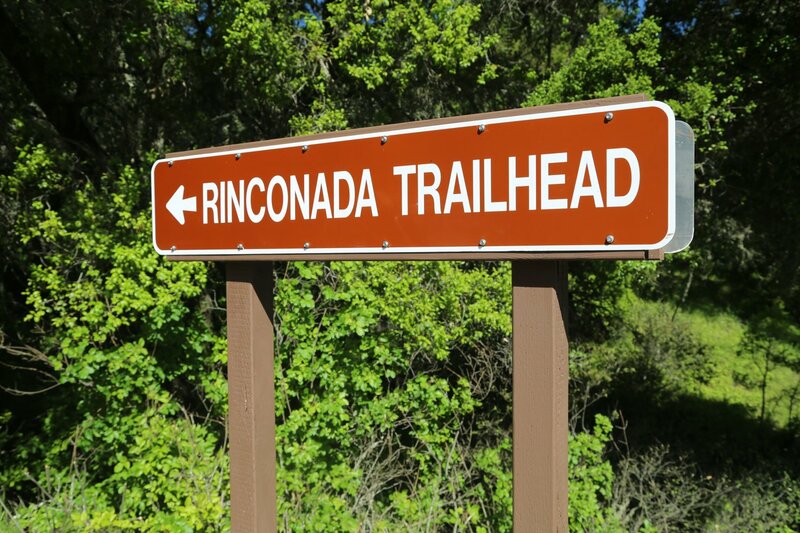 From the parking lot at the Rinconada Mine you ascend via a single track which comes out at a dirt road after 2 miles. 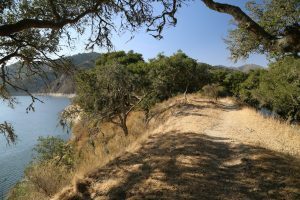 You follow this dirt road to the top of the Hi Mountain lookout (old fire lookout now serves for tracking California Condors) and then return the same way – or you can continue on down the dirt road which will eventually cross a small creek and come out across from the Pozo Saloon. 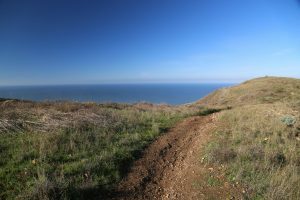 This dirt road mostly follows the ridge top and from parts of this ride you can see the beaches of Pismo and the ocean far in the distance as well as Lopez Lake. 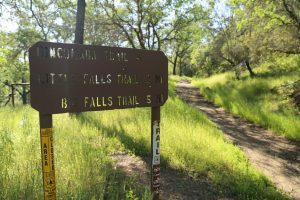 Several trails drop down the ridge towards Lopez Lake including Little & Big Falls. From the Pozo Saloon you will bike on the paved road back to the Rinconada Mine to pick up your car. 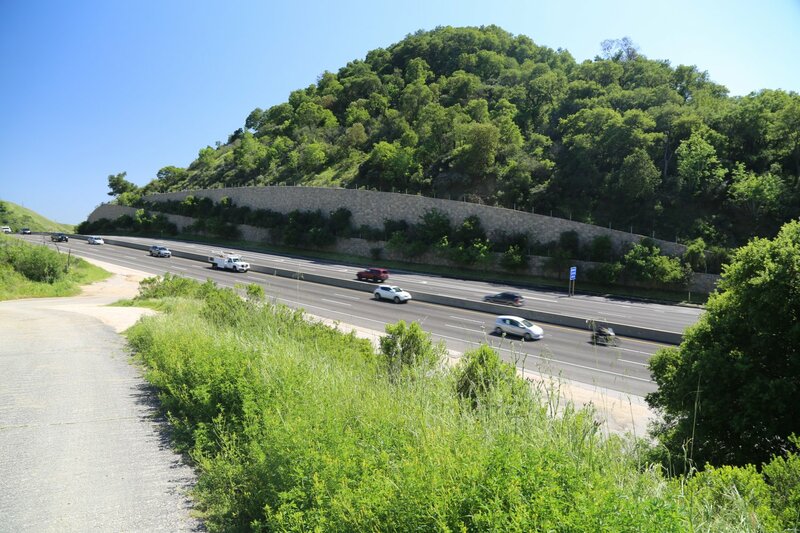 Allow at least 3-3.5 hours for this round trip loop of approximately 25 miles. For more information about the Hi Mountain Condor lookout, visit: www.condorlookout.org On a clear day there are spectacular views from this lookout in all directions. Santa Margarita Lake – is about a 30 minute drive from San Luis Obispo (about several miles southeast of the town of the same name). 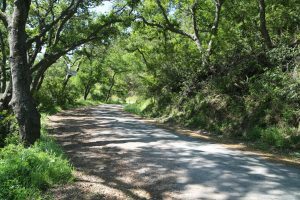 The road to the lake is off of the Santa Margarita Pozo Road – at the Rinconada Store. 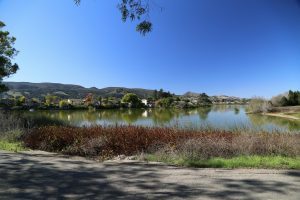 This lake was created after the construction of a dam in 1941 – the lake still provides part of San Luis Obispo’s water supply (therefor no swimming is allowed). 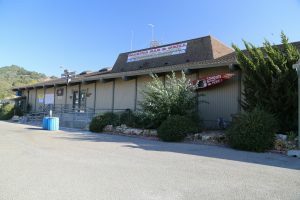 Day use fees/parking at the time of our last update were $10/car. 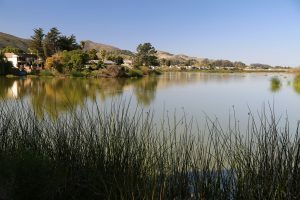 There are plenty of fishing area one can access along the shores of the lake – it is stocked with trout. Other fish live here including bass and catfish. Camping is allowed in designated spots (60 primitive camps are located along the shores of the lake). Most of the lake can be circumnavigated on dirt roads. A boat launch ramp is also available. 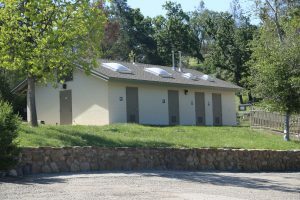 And a public swimming pool is open typically from Memorial Day through Labor Day weekends. 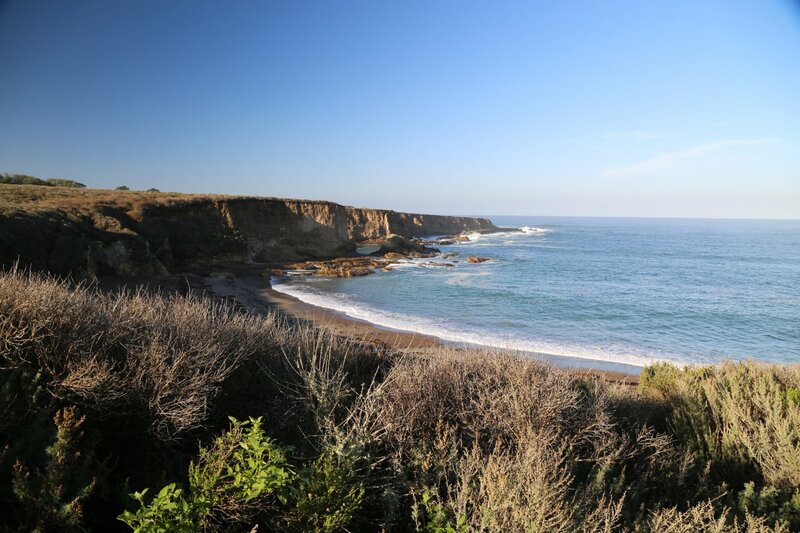 Check out my colorful new book, enCYCLEpedia Southern California – The Best Easy Scenic Bike Rides. 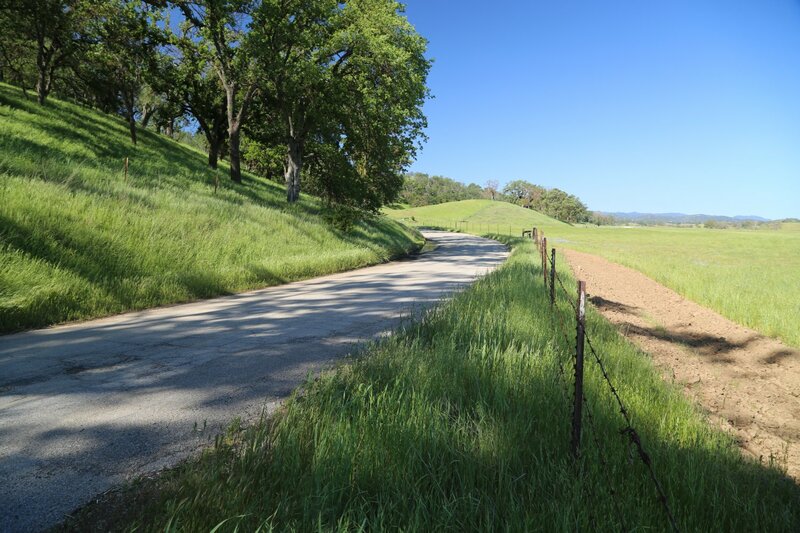 Rides are scenic, mostly away from traffic, 75% on pavement and 25% on dirt, with minimal hills, and range from 5 to 20+ miles in length, always with options to shorten, lengthen or combine rides. 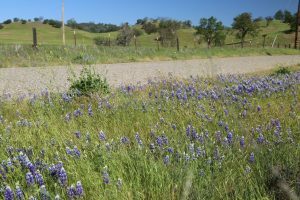 It is densely packed with 200 ride options on 376 pages, covering from SLO to San Diego Counties and across to the deserts. 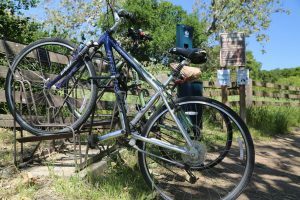 Its companion website, http://www.enCYCLEpedia.net contains continual updates to the book, extra features and links. Thanks and happy trails!